AuthorAID partners meeting, Tanzania, December 2016. 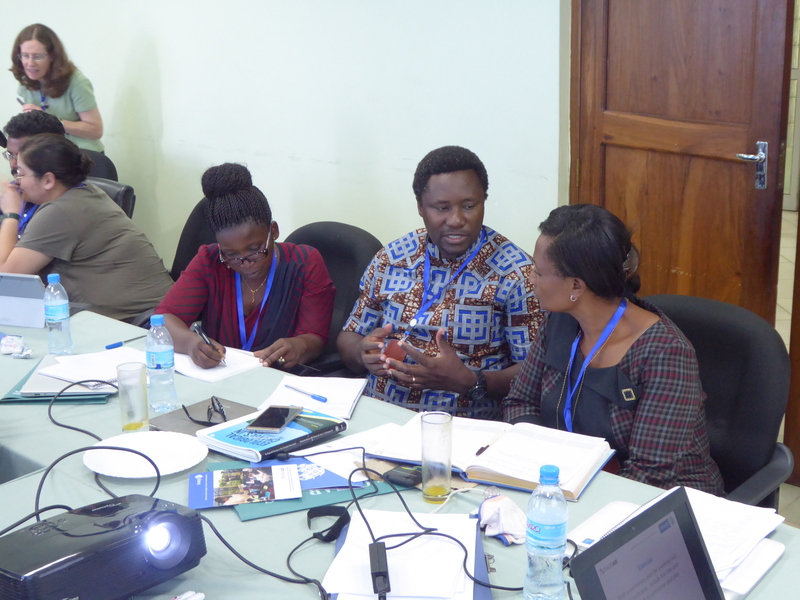 In December, for the first time, we held a two-day meeting of the six African AuthorAID partner institutions that are embedding AuthorAID research-writing training into their institutions. 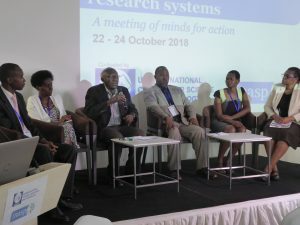 Working more closely together will help research institutions in Tanzania and beyond to tackle the many challenges facing African higher education today – challenges such as addressing gender equity, getting research published in reputable and appropriate journals, and training early career researchers in ways that are appropriate for their situations and their institutions. This was one of the highlights of the AuthorAID partners meeting that was held in Dar Es Salaam in December 2016. Our embedding partners represent a cross-section of academics and researchers, ranging from large multi-college universities, to smaller universities that focus on distance education, to research institutes that work closely with key policymakers in government. 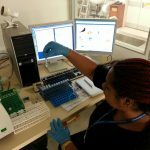 The six partner institutions in Africa include the Tanzanian Fisheries Research Institute, St John’s University, Tanzania Muhumbili University of Health and Allied Sciences, University of Dodoma, Open University Tanzania and the Council for Scientific and Industrial Research, Ghana. Each partner institution has developed a plan with INASP/AuthorAID to embed research-writing skills and communication across the institution. What this means in practice is that we work closely with them in undertaking training of trainers, developing and running writing workshops, implementing online courses and identifying any obstacles to success (such as issues with senior leadership or issues affecting women researchers). Most of the meeting was devoted to group discussions, sharing ideas and networking. What was interesting was how much everyone relished the opportunity to talk to each other – we had assumed that the majority of the group would know each other through the grapevine (so to speak), either within the Tanzania university network, or through the AuthorAID online network. But this wasn’t necessarily the case. In many instances, partners mentioned how much they wanted a network for regular interaction and support, but how they struggled to find the time or the contacts to do so. This helped the AuthorAID team to see how important we are in providing a forum to do so. Blended training was by far considered the best format for training. The combination of an online course (with flexibility of location and timing) and a face-to-face workshop (providing practical time devoted to writing and presenting research) provided the best of both worlds. With some struggles with online course completion by the participants, the partners agreed that the prestige factor of having an external facilitator was important in promoting engagement. This does not necessarily have to be someone from outside the country. Everyone agreed that a facilitator from another university within the country would build enough interest to encourage engagement. Everyone agreed that the embedding process is more successful when there is buy-in from someone in a leadership role within the institution. Likewise, the team running the training should have the ear of senior leadership as needed so that they can change elements of the training when it’s not working properly. The demand for training will always be there – with the influx of new students and staff every year comes more demand for this type of training. 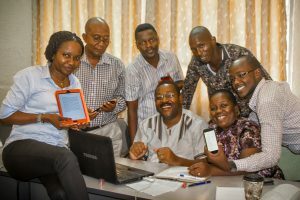 There were some shared frustrations about running online courses, in particular that it cannot be guaranteed that course participants will be confident about using online technology. This can have adverse effects on the completion rates. Suggestions to combat this issue were to run a pre-course sensitization session and to better advertise the benefits of completing the course (such as publishing more and increased opportunities for funding). 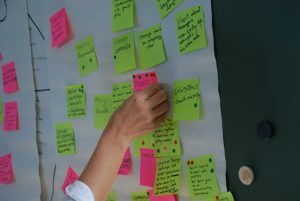 Time constraints were a continuous issue, with many people expressing how difficult it is to find time to run workshops and courses when there are so many other competing priorities. 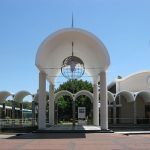 Others shared that they have successfully lobbied their dean or chancellor to protect time for this as a priority, and to provide opportunities for promotion as a result of undertaking more training. Every institution mentioned the degree to which poor internet connectivity slows progress. This started a great discussion on ways to solve this problem. For online courses in particular, we discussed spending more time ensuring course materials are fully downloadable and that Moodle courses are fully compatible with mobile phones. At the end of the two days, it felt like everyone had learnt a lot from their peers, and we all had long lists of ideas and things to do upon returning home. Each partner took away notes on improving sustainability, solutions to some of the common obstacles, and ideas on new areas of training, such as a desire to understand better on how to communicate science to journalists and policymakers. Everyone agreed they could do much more to keep the network they had built together ongoing. There were suggestions of holding annual networking meetings, developing an online group, and sharing online course facilitators between institutions. 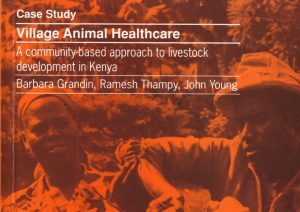 Within the AuthorAID team, we will do our best to develop this and implement the list of priorities over the next year. Lastly, I want to express my heartfelt thanks to all of the partners for making this such a successful meeting!